Washington: As he did almost 30 years ago, William Barr is appearing before the Senate Judiciary Committee to make the case he's qualified to serve as attorney general. 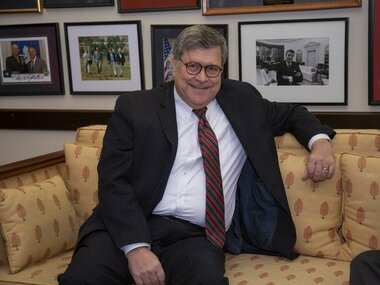 Barr served as attorney general from 1991 to 1993 and has been nominated by President Donald Trump to do the job again. His confirmation hearing Tuesday has multiple story lines worth watching. 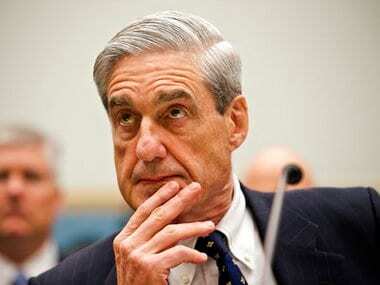 The 68-year-old nominee aims to show Republicans he's sufficiently supportive of Trump's tough-on-crime and hardline immigration agenda while assuring skeptical Democrats that special counsel Robert Mueller's Russia investigation will finish without interference or interruption. The panel he'll face is led by a new Republican chairman, Sen. Lindsey Graham of South Carolina, known for a rapid-fire questioning style. It also includes at least three Democrats seen as potential presidential contenders — Cory Booker of New Jersey, Kamala Harris of California and Amy Klobuchar of Minnesota — for whom the hearing could be an opportunity to raise their profiles. Unless there's a major surprise, Barr is expected to win confirmation not only because Republicans control the Senate but also because some Democrats are eager to move on from Matthew Whitaker, the controversial acting attorney general. The hearing will unquestionably be dominated by talk of Barr's oversight of Mueller's investigation into potential coordination between the Trump campaign and Russia. Barr will tell the committee that he believes Mueller should be permitted to conclude his investigation, and that he thinks Congress and the public should be able to see the results of Mueller's work. 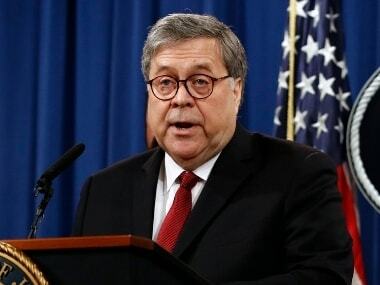 Those statements, released ahead of the hearing, were aimed at pre-empting some of the most significant questions Barr will face from Democrats. Barr's oversight is especially significant since Deputy Attorney General Rod Rosenstein, who appointed Mueller and who has overseen his day-to-day work, is expected to step down soon after Barr is confirmed. And Barr's own comments about the Mueller investigation have attracted scrutiny, including an unsolicited memo he sent the Justice Department last year criticizing the special counsel's inquiry into whether Trump had sought to obstruct justice. Barr says the memo was narrowly focused on a single theory of obstruction and didn't touch the broader questions surrounding Russian election interference.In his statement, Barr called Mueller a friend he's known personally and professionally for 30 years. Democrats will almost certainly grill Barr on the expansive view of presidential power he's displayed at the Justice Department and in the years since. As deputy attorney general, Barr advised then-President George H.W. Bush that he did not need congressional approval to attack Iraq. 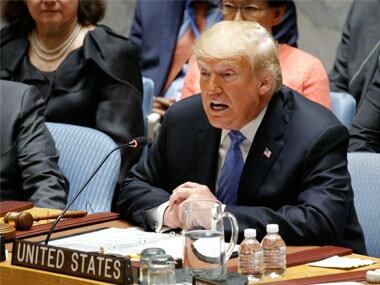 Earlier, when he led the Justice Department's Office of Legal Counsel, he wrote opinions that allowed the U.S. government to invade Panama and arrest its dictator, Manuel Noriega, as well as to capture suspects without the consent of their host nations. As attorney general in 1992, he endorsed Bush's pardons of Reagan administration officials in the Iran-Contra scandal. 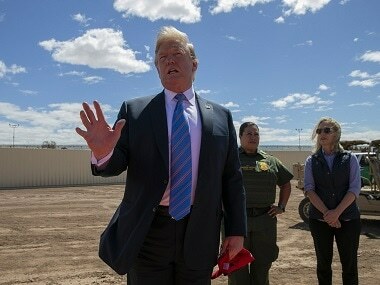 Barr says he'll continue to prioritize immigration enforcement and says the government must be able to hold and remove people who illegally enter the U.S.
Barr's comments reflect similar thinking to former Attorney General Jeff Sessions, who drew heavy criticism from immigration activists after defending the Trump administration's policy separating families during a crackdown on those entering the U.S. illegally. Barr will tell senators that the Justice Department cannot allow people to flout America's legal system by "crashing in through the back door." Barr faces a tough task in asserting the Justice Department's independence, and defending the lawyers who work there, while also serving a president who demands loyalty. Barr insisted Monday that the president never sought any promises, commitments or assurances from him before naming him attorney general. Trump fired Comey months after asking him for loyalty, forced out Sessions over recusing from the Russia investigation and has repeatedly claimed political bias in federal law enforcement. It remains to be seen how Barr will respond if and when Trump lashes out at the FBI and Justice Department. But his statement does describe Justice Department employees as "dedicated professionals" and takes care to note that law, not politics, holds sway inside the Justice Department.